Wireless operators are demanding greater packet data throughput to service data hungry subscribers on their mobile devices and applications. Tecore’s CoreCell product line of Software Defined Radio (SDR) base stations addresses these requirements by providing scalable bandwidth options, enhanced modulation techniques, and MIMO, allowing for more energy per bit and more bits per hertz. These enhanced techniques translate into better quality of services, higher bit rates for packet data-intensive applications, and an evolution path for existing 2G and 3G networks as well as Greenfield 4G LTE and 5G network deployments. 5G, the next evolution in cellular technology and global telecommunications standards. At Tecore Networks, we understand the significance and the opportunity that 5G represents. With greater speed for moving more data, lower latency for greater responsiveness and the added ability to connect to a multitude of different devices at once, 5G may fundamentally change the way we live, work and communicate. As networks today prepare for or actively transition from previous generations of technology to 4G and 5G baselines, the upgrade is typically accomplished via forklift upgrades or side by side installations. The CoreCell radio head product line delivers the ability to evolve with the network. What is used today for SISO or 2×2 MIMO configurations can be repurposed to 4×4 MIMO configurations as the network evolves to next generation technology. Combined with the generic x86 platform running the base band software, the CoreCell provides a future proof path forward for networks in transition. In order to deploy super-high, multi-gigabit speeds and have more flexible encoding and bigger channel sizes than LTE operators will have to use newer, much higher frequencies. The millimeter wave spectrum, ranging from 30GHz to 300 GHz will deliver more bandwidth to deliver faster, higher-quality video, multimedia contact, applications and services to evolve the connected globe. Tecore’s full line of CoreCell Radio Heads is built to support scalability in power and capability that meets these deployment requirements. Available in high powered 40W 4×4 MIMO configuration as well as 250mW systems designed for in-building and localized coverage applications, the CoreCell-RH family of Radio Heads supports the right configuration dependent on customer demands. The full line of CoreCell Radio Heads is built to support scalability in power and capability that meets the deployment requirements of today’s networks. Available in high powered 40W 4×4 MIMO configuration as well as 250mW systems designed for in-building and localized coverage applications, the CoreCell-RH family of Radio Heads supports the right configuration for the site. The CoreCell-E is a nodal component of the Evolved UMTS Radio Access Network (E-UTRAN) and integrates seamlessly with Tecore’s 4G LTE Evolved Packet Core (EPC) over an All-IP packet data network. This integration provides a complete LTE network solution for commercial, government, military and critical communication response applications. 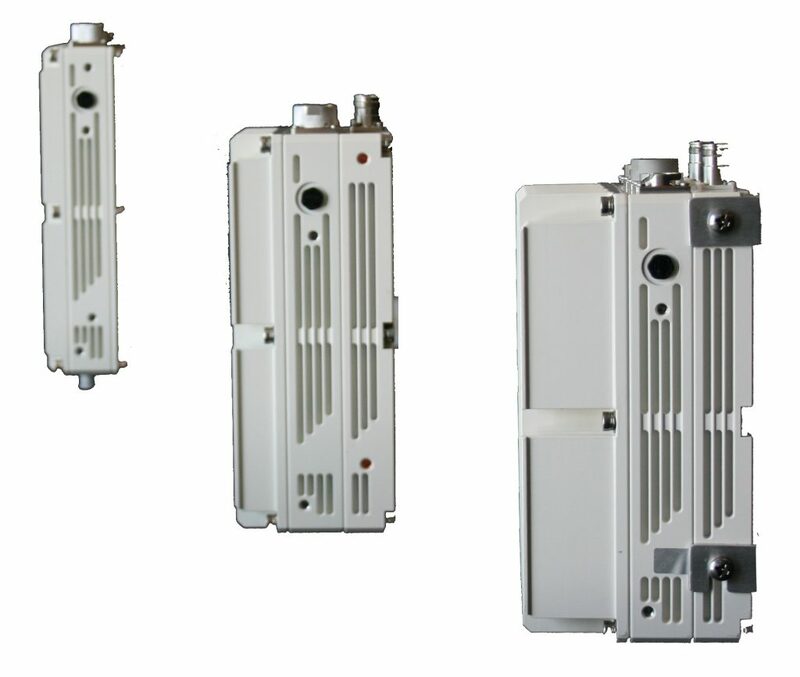 With a robust LTE feature set including 2×2 or 4×4 MIMO, 256DL/64UL QAM modulation, and flexible radio-head options to meet a wide variety of cellular coverage scenarios. With an impressive footprint, the CoreCell-E is capable of delivering high-speed network access to provide vital information and extensive support. By maximizing performance, Tecore has minimized tower loads and deployment time to meet strict operational requirements. The CoreCell-C CDMA Mini RAN provides standard CDMA voice and 1xRTT data operations for today’s IP-based networks. This RAN eliminates the costly and cumbersome equipment challenges associated with traditional systems, combining the BTS and BSC into a single unit. The all-IP architecture implements the most flexible interconnect available today. This unique platform can fit a wide range of network types and sizes, including low-capacity, high-coverage networks; macro-capacity networks required for today’s high-traffic voice services; and data applications. By enabling operators to scale as needed, the CoreCell-C CDMA Mini RAN offers unparalleled return on investment. In order to meet the demand for mobile broadband services, Tecore offers rural, government and specialized network operators a powerful UMTS NodeB with dramatically reduced footprint and all-IP connectivity, allowing them to extend the edges of their networks ever more remote – or moving – locations, and increasing the number of addressable users. Tecore’s CoreCell-B can be integrated with Tecore’s multi-technology, multi-generational iCore® to create a compact, complete mobile broadband Network in a Box®. This platform has the capability to support revenue-generating commercial networks, mission-critical man-portable systems, onboard systems for land/sea/air transports, and private in-building networks. The CoreCell-XE GSM and CoreCell-RM Mini Radio Access Network (RAN) are designed specifically for fast deployment and cost-effective capacity and coverage for voice and data. With the unparalleled combination of spectrum-saving vocoders, frequency hopping, support of 32 carriers/TRXs and quad-band operation, operators can achieve maximum capacity for their licenses. Tecore’s RAN eliminates the costly and cumbersome equipment and installation challenges associated with traditional systems, combining the BTS, BSC, and optional vocoding into a single unit. This unique compact outdoor RAN architecture is suitable for providers of all sizes, starting with new license networks serving basic voice to thousands of subscribers, and scaling to support high-capacity networks providing voice, high-speed data, and advanced applications.